Odd Bodkin Renaissance Shop, Inspired by History, Designed for You! Thanks for visiting Odd Bodkin! Odd Bodkin Renaissance Shop is a sewing studio in the lush suburbs of Houston, Texas. Almost 2 decades of traveling to and working at Renaissance festivals, sewing garb, creating cosplay pieces, and helping couples create their perfect wedding attire has helped us develop a broad portfolio and set of design skills. We would love to help you with your next event or project! 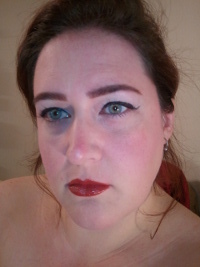 Devlyn is a one woman show. She is available for consultations and fittings in person, email or phone. Turnaround time is about 8-10 weeks with the potential for delays during faire season.Â Regular non-garb orders are generally shipped within a week if we have it in stock. If you need your order by a certain date, please call us and we will work with you to see if that is possible! Please call or email us if you have a problem with an item. Most of our garments are custom made and are not refundable. Please take careful measurements and email if you are unsure. If a custom item does not fit, or if you are not happy, please call or email to discuss an exchange. If an exchange does not work out, your money will be refunded in the form of a gift certificate that can be used for any item on our site. Please be assured that we want you to be happy and satisfied! 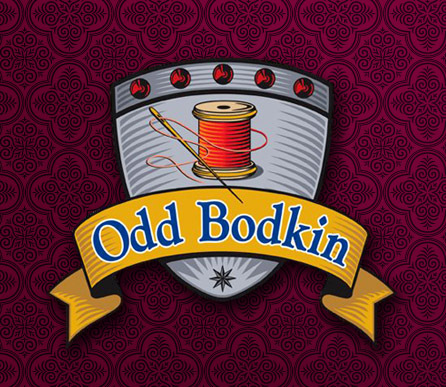 Odd Bodkin has been in business since July of 2002, but we have been making quality garments since 1997! We started out in a humble 300 square foot workshop in Miamisburg, Ohio, and have since relocated 3 times. Now that we are in Texas, our committment to satisfying customers and creating long lasting friendships with every client is a goal. We want you to be thrilled and tell all your friends about it! Fabulous Fantasy daggers with images of beautiful women painted on the scabbard and hilt. Stainless steel blades. Each dagger is about 13" long and has a slight edge on each side. Makes an excellent gift for any knife lover. Free Shipping for orders of $150.00 or more.